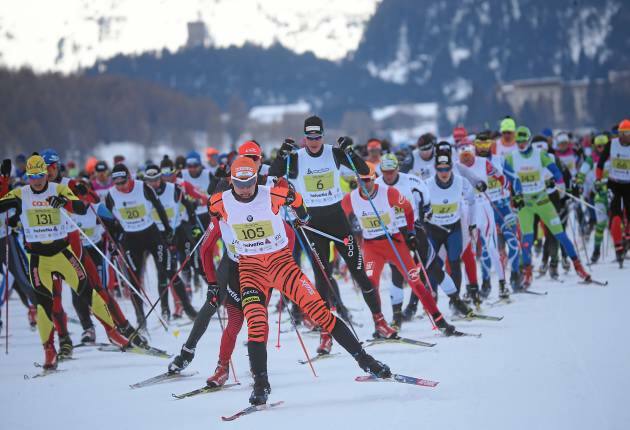 Have you ever wished to take part in the famous Engadin ski marathon, or taken part in this event before and wish to improve your race time and position. At Totally Nordic we are able to offer three race trip options this year. ​For those who would like to have a full week's instruction, coaching, video feedback, ski waxing lessons and personal coaching. For those who can only take a short break away from work, and would like to still have three days instruction and guidance leading up to the Engadin marathon. All the trips and options are open to any level of skier, both skating and classic skiers. With two of the country's top instructors, Alan Eason and Peter Moysey, plus we have more of the UK's top instructors lined up to instruct and coach for the short break trip. We are able to provide the best possible level of instruction. Each day consists of structured instruction with a minimum of five hours per day, so plenty of time to master the techniques of skating and classic skiing. We can also take the pressure off what ski wax to use for the marathon, as we have years of experience and knowledge working on the world cups as wax technicians. Add anyone of these trips to your diary for 2017 and become part of one of the largest ski races in the world in the fantastic Swiss Alps.